The algorithm change will affect only “spammy queries” and not the normal queries. Hacked sites have long been a problem for webmasters and site owners not only for ranking issues, but also for reputation management and other related concerns. Damage control after regaining control of your site will likely include beefing up defenses, checking content, and recovering any loss or drop in rankings—all of which are tedious and technical. After pure spam, hacked sites are the second most common reason for manual actions, as Google penalizes sites that are hacked and are no longer providing content that originally brought in the rankings. New pages added to your site containing spammy or malicious content. These are often added to manipulate search engines, harm site visitors, or affect site performance in search results. 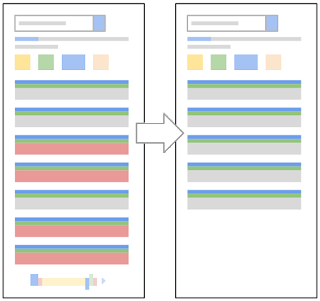 Hidden content piggybacks on your site or page’s rankings by adding content that search engines can see, but are hidden from webmasters or users. This can include hidden links or texts via CSS or HTML, or more a complex technique such as cloaking. These malicious codes injected into your site redirect some users to harmful or spammy pages. The redirect often depends on the device, often on mobile. Still, the best way to fight hacking is to prevent it. Google has a help center for site owners, webmasters, and SEOs to learn more about hacked sites, prevention, and damage control.